1st Gear: General Motors today announced first quarter net income attributable to common stockholders of $3.2 billion, or $1.77 per fully-diluted share. It's the company's fifth consecutive profitable quarter. Revenue increased $4.7 billion to $36.2 billion, compared with the first quarter of 2010. Like we said, this company's set up to mint money... for now, anyway. What about when they get past this current generation of new product? That's a different story. Maybe they just need to import the El Camino to help with that. Right? 2nd Gear: The Mercede-Benz SLS AMG Roadster convertible has dropped itself some still-in-development glamour shots this morning. It's the second car to be developed independently by AMG, although the Coupe and Roadster were created in parallel. During this 3-year development period for the 2012 SLS AMG Roadster, the engineers devoted particular attention to bodyshell rigidity, driving dynamics, the soft top and NVH. Because those are the things that, you know, make it different from the Coupe. 3rd Gear: When conservative Republicans pushed a bill through the Arizona Legislature creating a "Don't Tread on Me" license plate design that would be used to raise money for Tea Party groups in the state, opposition was expected from Democrats, liberals and other assorted antagonists. Instead, the biggest opponent has been Tea Party members themselves, who say their renegade, grass-roots movement was built on suspicion of government, and they are not too keen to start "playing financial footsie with the enemy," as the New York Times calls it. Huh. I mean, I'm all for less federal government intrusion, but you've got to be pretty far over on the scale to think state-issued license plates represent too much influence from "the man." 4th Gear: Tesla Motors posted a first-quarter net loss that was narrower than analysts estimated as the electric carmaker boosted revenue from battery packs and development work with partners Daimler AG and Toyota Motor Corp. Excluding some items, the loss was 44 cents a share, the Palo Alto, California-based Tesla said today in a statement. The average of five analysts' estimates compiled by Bloomberg was for a 51-cent loss. The net loss widened to $48.9 million from $29.5 million a year earlier, before Tesla sold shares to the public. Sales more than doubled to $49 million. Congratulations Tesla, you're only losing a little bit more money than you're making — and continuing to spend even less on developing the Model S sedan. 5th Gear: General Motors is recalling 154,112 Chevrolet Cruze compact cars to make sure their steering shaft covers were properly installed, the automaker said. Yeah, because having the steering wheel come off in your hand? That's bad. Oh but wait, there's more. Models with automatic transmissions will also be examined for proper linkages, the Detroit-based company said in a statement today. But it's not just the vehicles that are already in customer hands. Unsold vehicles on dealer lots will also be inspected, GM said. Good grief. 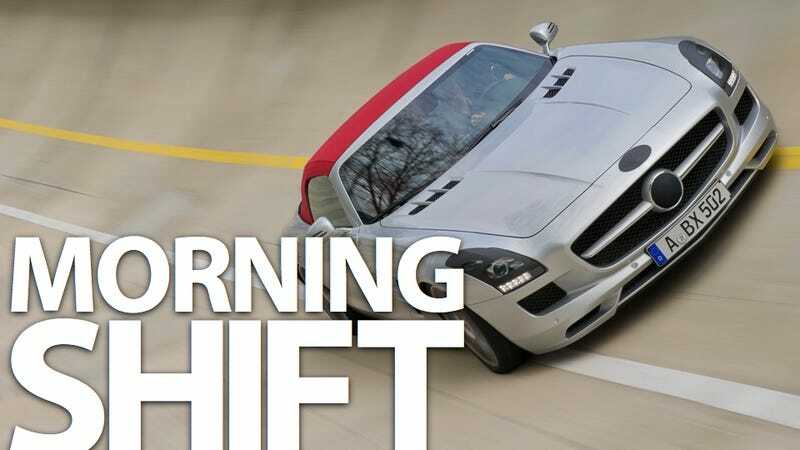 6th Gear: Like we said yesterday, GM is spending $131 million on the Corvette plant. Despite what some old trolls might say, that's absolutely money well spent. Because someone still needs to create rockets in America.